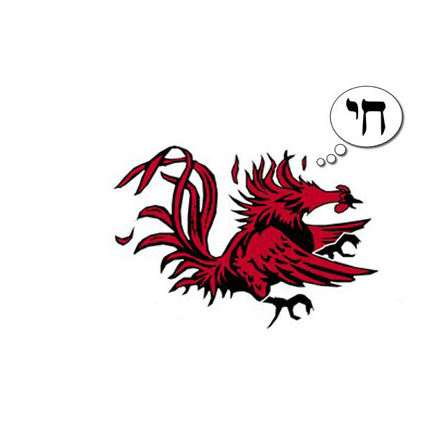 Chabad at the University of South Carolina offers a home-away-from-home for Jewish students and a center for Jewish Life on Campus. Jewish Holiday services and events, Discussion Groups, Speakers and of course, home-cooked Shabbat Dinners! Check us out on Instagram!. Connect with us ther to get the latest updates and announcements for upcoming events. Yep! we're on facebook! You can connect with us there or drop us a line directly from this site by clicking here. It is only through the generous contributions of supporters like you that Jewish Life at USC is now a reality. Take a moment to read this brief Jewish thought that is sure to brighten your day and lift your spirits. With on-site centers at over 210 Universities, Chabad on Campus proudly serves the growing community of Jewish college students across the country.